The Resort is located on nearly 12 wooded acres with over 900 feet of lake frontage. There are four cabins and 12 RV campsites, available beginning Memorial Day weekend, 2016. The Resort also has a fish cleaning house, a playground and docks. 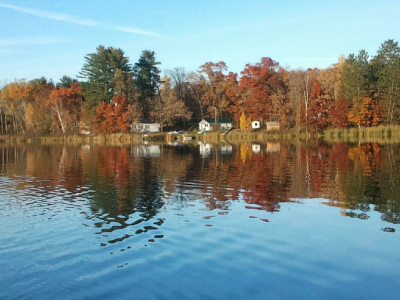 We are conveniently located within 15-20 minutes from Shell Lake, Spooner and Siren, Wisconsin. Hayward, WI, is about 45 to 60 minutes away. We are taking pre-registrations for the 2016 season, opening Memorial Day weekend. In 2016, we will be continuing to offer discounted rates for most weeks as we continue to update and upgrade the Resort amenities.